(Durlacher Brothers, New York); William B. O'Neal [1907-1964], Charlottesville, VA, February 1966; gift to NGA, 1991. 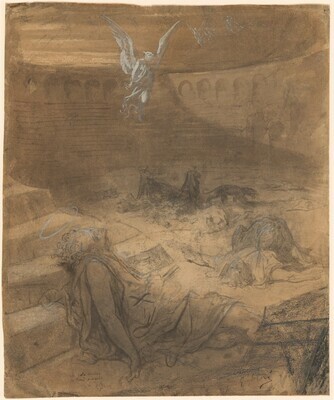 Master Drawings from the O'Neal Collection, Virginia Museum of Fine Arts, Richmond and tour, 1971-72. Drawings from the O'Neal Collection. Exh. cat. National Gallery of Art, Washington, 1993, 28. "Drawings from the O'Neal Collection, October 15-November 21," Virginia Museum Bulletin, 32 (Oct 1971), 6.